Good news for coffee drinkers: Alzheimer’s research has found that drinking coffee may keep Alzheimer’s at bay! According to a recent study, regular coffee consumption (and the accompanied caffeine intake) is associated with a reduced risk or delayed onset of Alzheimer’s. Alzheimer’s is the most common form of dementia, currently afflicting over 5 million Americans. It is the 6th leading cause of death in the United States, with 1 in 3 seniors dying with Alzheimer’s or another form of dementia. Alzheimer’s has also surpassed cancer and heart disease as the most expensive illness in the United States. These growing numbers have been met with a growing push for more Alzheimer’s research. One woman participating in an Ohio medical study received the first “brain pacemaker” in an attempt to slow cognitive decline. Researchers at the University of South Florida and University of Miami conducted a controlled Alzheimer’s research study with 124 people between ages 65 and 88. Patients were chosen who already suffered from mild cognitive impairment (MCI) to determine if elevated caffeine intake had any effect on the onset of Alzheimer’s. At the end of the study, the patients with higher blood caffeine levels developed Alzheimer’s at an average of 2-4 years later than those people with lower caffeine levels. 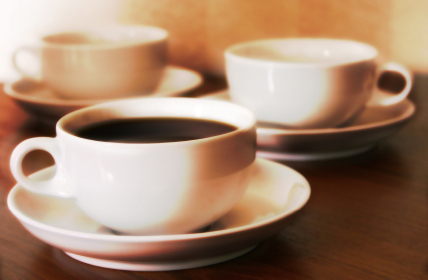 The researchers believe that elevated caffeine levels in the blood are due to regular caffeine intake. Coffee was the only source of caffeine intake in the MCI patients, at an average of 3 cups a day. This study provides a very accessible, simple, and inexpensive solution for those with mild cognitive impairment or a family history of Alzheimer’s looking to slow their cognitive decline. Although the results of this specific study reflect the effect of caffeine on older people, other studies have proved the benefits of caffeine in people of all ages. A long-term study published by the New England Journal of Medicine found that regular coffee drinkers experienced an overall reduced risk of dying from diabetes, stroke, lung disease, and even car crashes. “If we could conduct a large cohort study to look into the mechanisms of how and why coffee and caffeine can delay or prevent Alzheimer’s disease, it might result in billions of dollars in savings each year in addition to improved quality of life,” Dr. Cao said. Alzheimer’s disease and others forms of dementia are the leading reasons for needing Long Term Care. In the United States in 2012, 15.4 million caregivers provided more than 17.5 billion hours of unpaid care for those with Alzheimer’s or other dementia. The estimated annual cost was around $216 billion. These high costs are not going away. In fact, the national average cost of a nursing home has been steadily increasing every year, hitting $80,000 in 2012. Compare that cost to the average price of premiums in the United States, which is between $2,000 and $3,000 annually. While many people brand this insurance as “expensive” and “unnecessary”, the truth is, most people will need Long Term Care, and most people can’t afford to pay the costs out of pocket. A government study estimates 7 in 10 Americans over the age of 65 will require Long Term Care at some point. Even just 6 months in a nursing home can easily rack up to $40,000, and the average benefit period is 3 years. Health care does not cover Long Term Care and Medicaid will only deem you eligible if you have already exhausted all of your financial assets. Long Term Care Insurance guards your assets from being drained by the high cost of Long Term Care and gives you peace of mind that you will receive the quality care you deserve. LTC Tree can help you shop the market and make an informed decision. We strive to provide consumers with a no pressure environment, which means no face-to-face sales presentations and no pushy sales tactics. We want you to take your time, review your options, and be confident that you are choosing the policy that fits your lifestyle best. Need a quote? Fill out our online form. Read more about the link between Alzheimer’s and Long Term Care here.